I’ve shown you how to set up WordPress hosting, how to install a free WordPress theme, how to customize that theme for your brand and how to transfer all your content from your current Wix website to WordPress! Now you get to tell the world about your new website by transfering your domain name from Wix to your WordPress hosting company. I’m super excited that your new WordPress website is now ready to go live! If you remember, we have a temporary domain name pointing to the WordPress website and we’ll need to fix that before we go live with the website. 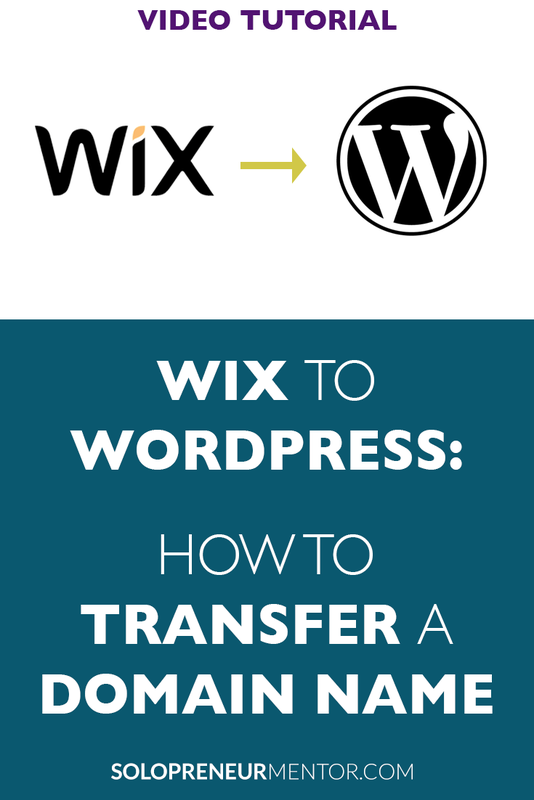 In this video tutorial, I will show you how to transfer a domain name from Wix to your WordPress hosting company, change the URLs in WordPress from the temporary domain name to your business domain name and ensure that search engines can crawl your new website. After that, you can celebrate by letting everyone know about your new website that you did yourself! If you want to skip over parts, please use the time references in the table of contents. I am Laura Davis and I run a web development business from home called D3 Solutions. I have over 15 years of experience to share with you mainly in the areas of WordPress and Website Marketing as well as how to achieve great work / life balance by being more productive and organized. Ready to stop wasting time on technology? Subscribe to my newsletter to get tips, tricks & tutorials that will help you do just that. PLUS get access to my EXCLUSIVE Behind-the-Scenes resources you won't want to miss! Go ahead and ask. I'll get back to you as quickly as possible.